Product prices and availability are accurate as of 2019-04-22 01:05:29 UTC and are subject to change. Any price and availability information displayed on http://www.amazon.com/ at the time of purchase will apply to the purchase of this product. 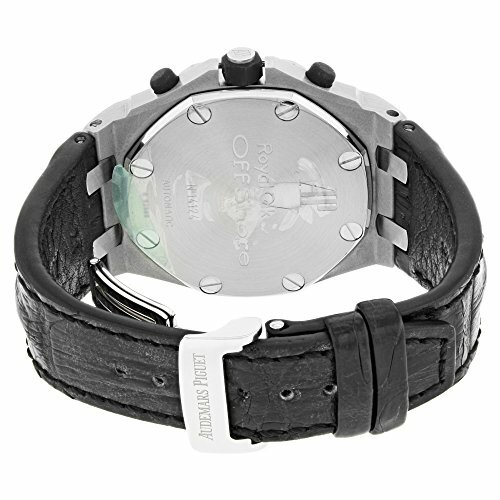 Stainless steel case with a black crocodile leather strap. Fixed bezel. Black dial with luminous hands and Arabic hour markers. Tachymeter scale appears around the outer rim. Dial Type: analog. Date display appears at the 3 o'clock position. Three: 12- hours, 30- minutes and 60- seconds sub-dials. Automatic movement. Scratch resistant sapphire crystal. Case diameter: 42 mm x 54 mm. Deployment clasp. Water resistant at 100 meters/ 330 feet. 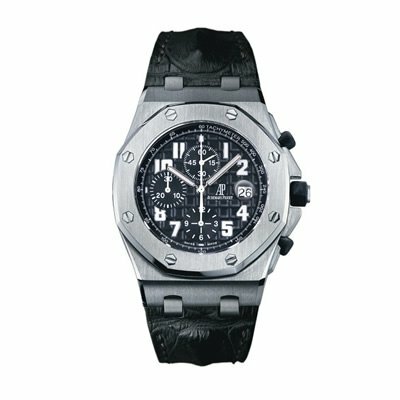 Functions: hours, minutes, seconds, calendar, chronograph, tachymeter. 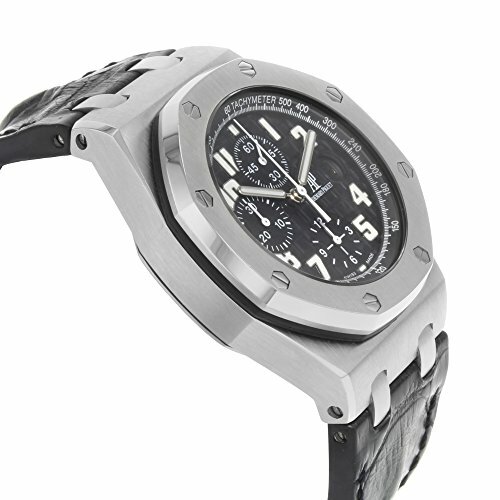 Luxury Sport watch style. 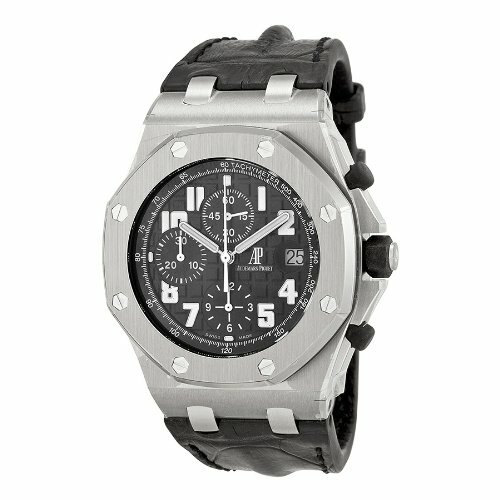 Audemars Piguet Royal Oak Offshore Black Dial Chronograph Mens Watch 26170ST.OO.D101CR.03.